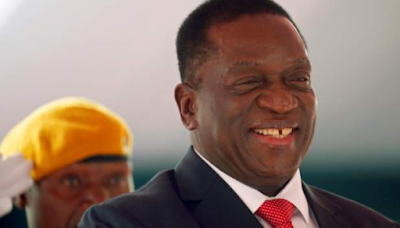 Zimbabwean President Emmerson Mnangagwa says a three-month amnesty has been granted for the return of funds which have been "illegally externalised", the state broadcaster ZBC TV reports. The new president told ZBC in a statement that the amnesty period stretches from the beginning of December until the end of February next year. "As a first step towards the recovery of the illegally externalised funds and assets, the government is gazetting a three month moratorium within which those involved in the malpractice can bring back the funds and assets, with no questions being asked or charges preferred against them." The station does not specify whether "illegally externalised" means stolen or moved into unauthorised, foreign bank accounts.